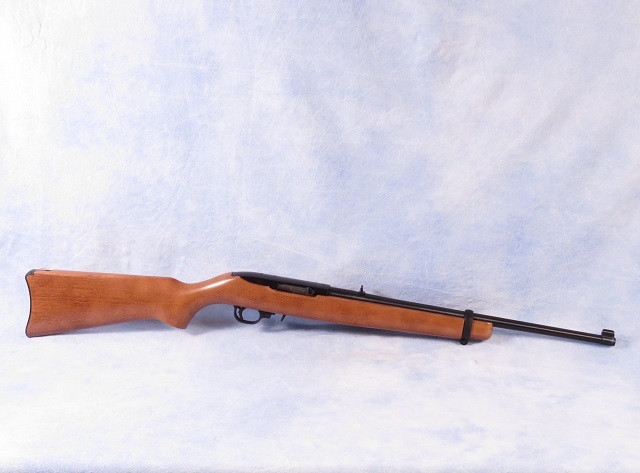 Ruger 10/22 carbine semi-auto rifle chambered in .22 LR. This features a 16" cold hammer-forged barrel, satin black finish, hardwood stock, extened magazine release, push-button safety, and adjustble sights. Barrel Length - 18 1/2"